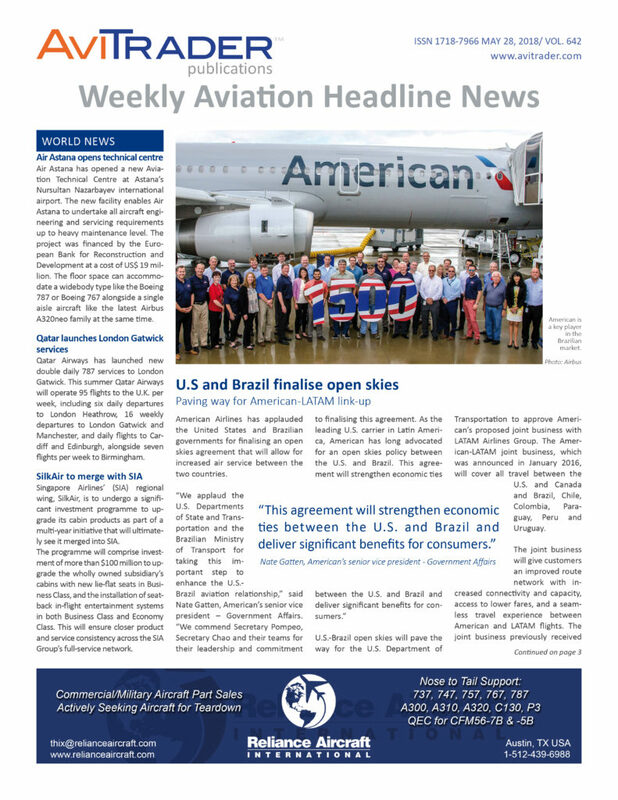 In this week's issue of AviTrader Weekly News, American Airlines has applauded the US government for finalising an open skies agreement with Brazil that will open up closer links with LATAM. As always, you’ll also find all the latest headlines and breaking news stories from around the world in all sectors of the aviation industry, from aircraft, engines, MRO and production to finance, military, IT, appointments and more. We hope you find AviTrader Weekly News Headlines to be informative and useful, and we welcome your feedback, suggestions and, of course, your news. AviTrader Publications: The leading online source for news and insight from the global aviation industry, delivered straight to your inbox daily, weekly, and monthly.